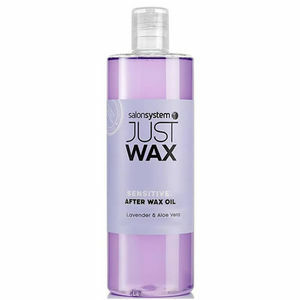 Perfect post-waxing oil to care for and soothe the skin. 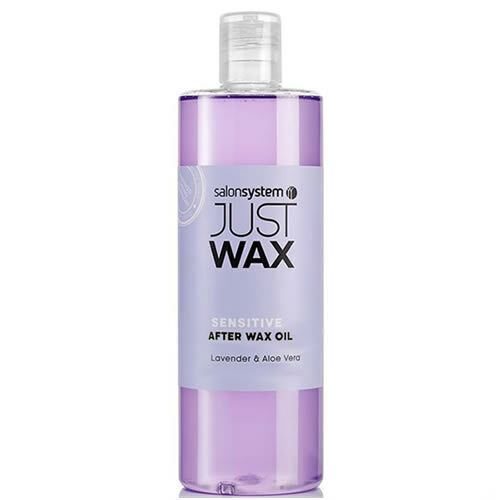 Salon System Just Wax Sensitive After Wax Oil has been developed to soothe, protect and moisturise the skin after waxing. Your clients' skin can look forward to beautifully smooth results and it also helps to remove any residual wax following treatment. It's a light oil that has been formulated with lavender, which is well known for its anti-inflammatory, anti-fungal, antiseptic, antibacterial and antimicrobial properties. All in all, it's the perfect follow-up to any waxing service. Comes in a 500-ml bottle. £5.28 (inc. VAT) Why no VAT? We're a trade wholesaler and quote our prices without VAT to help our VAT-registered customers understand the true cost of a purchase.